We didn’t start Eagle Pointe because Christians couldn’t find a good church to attend. There are some really good churches in our area led by some really good pastors. Instead, we wanted to start a church determined to reach the 90% of people in our area who did not go to church anywhere. That choice/conviction affects just about everything we do. In 1 Corinthians 1:17, Paul writes that his goal was to preach the gospel “not with words of eloquent wisdom, lest the cross of Christ be emptied of it’s power.” For me, teaching/preaching isn’t about impressing people & showing them how smart I am or how much I know, it’s about connecting people with Jesus & helping them know how to live out the Christian life the way Jesus intended. 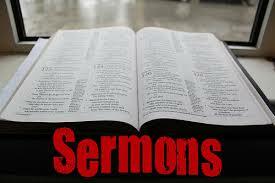 Simple sermons are not the same thing as simplistic sermons. Our mission here at Eagle Pointe is to “Lead people to Love God, Love Others, & Serve the World” (a summary of The Great Commandment & Great Commission). These concepts are very simple. It’s following them that’s tough. In my humble opinion – the problem for most “Christians” is not that they don’t have enough knowledge about the Bible – it’s that they are simply not living out, or don’t know how to live out, what the Bible says. (They know what to do – they’re just not doing it). Below is a great example of a very typical message here at Eagle Pointe. We studied Joshua 1:6-11 (6 verses). We taught on God’s righteousness, faithfulness, grace, & forgiveness. Now, I could have broken down the Hebrew translation of different words, the historical meaning & context of word usage, how this lines up with other promises of God in the Bible, etc. Some people would have walked out saying that it was such a great sermon & now they could run out & try to impress people with their new found knowledge. However, they would have no clue how to apply this to their lives & live out these truths. As is our goal every weekend, in this message below, we taught some very deep spiritual & theological truths in a way that was very easy to understand; easy for people to see how this is relevant to their everyday lives; easy for people to know how to apply these truths to their lives & truly live this out; & then we challenged them to action (to do something with/about it). Our goal is to teach the Bible in a way that truly benefits people Monday through Saturday – not just on Sunday. We designed our church services to be the front door of our church. It’s an environment designed to help people take steps in their faith – it’s not designed to be the end-all & only source of teaching in your life. Every weekend we have to strike that delicate balance of teaching Christians and non-Christians – people who’ve been in church for 20 years & people who are coming for the 1st time – young, old & everywhere in between – to take simple steps to follow Jesus. We have several other environments designed to help you “go deeper” in your faith. There are life groups, men’s & ladies groups that study the Bible. About once a month we offer “Disciple U” classes on subjects like apologetics, theology, church history, and books of the Bible. People have plenty of opportunities to “go deeper” around here. 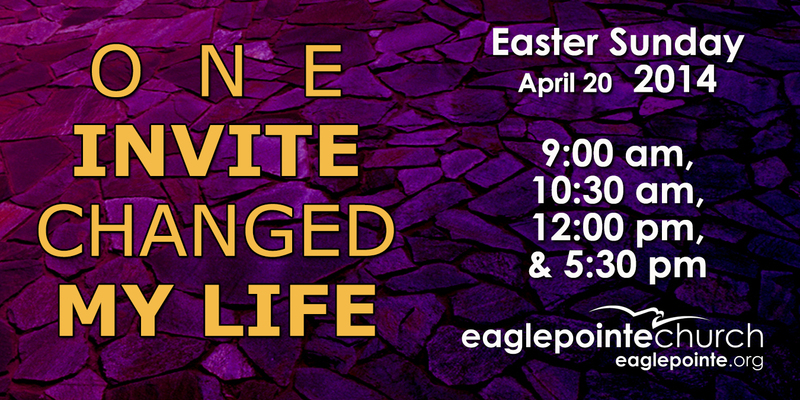 We’re Launching a 3rd Service at Eagle Pointe! In case you haven’t heard – we are launching a 3rd service time/worship experience here at Eagle Pointe & I am beyond pumped about this! Since January we’ve been talking about the need to add a 3rd service time here at Eagle Pointe. And as I shared at Momentum on Jan. 26th (if you missed it – watch it here), I said that we needed to add about another 60 adults to make this work. Meaning – we didn’t want to have 1 service with only 50 people & not much energy in it & we needed more people to volunteer & attend a 3rd service. Well, we have added those 60 more adults. Both of our Sunday morning services are getting uncomfortably crowded, our Children’s ministry growing very fast, and we are maxing out our facility’s capacity. (Which will very soon hurt our retention of guests). So, after a lot of talks, prayer, fasting, & planning over the month or so with our staff & ministry leaders, we have made the decision to step out in faith & launch our 3rd service. I will confess to you that as the leader/pastor of this amazing church family, I feel the weight & responsibility that comes with every decision we make. I will also confess to you that I struggled a little with this decision (Yes – I am human). I was a bit worried about making this decision prematurely, what if it doesn’t work, do we have enough volunteers, etc. I also know that we sometimes have waited too long in the past to make a decision & that delay has caused us to lose the momentum God was building. As I was praying about & wrestling with this decision – God reminded me that the results aren’t up to me (I/we just have to do our part, give God actions He can bless, & be obedient to Him). During a recent staff meeting, I did not share what I was thinking/feeling, I just asked each of them to share what they were thinking/feeling/sensing about all of this. To my surprise, every one of our staff members said we needed to go to 3 services quickly. They acknowledged that yes it would be more work, require us to recruit & train more volunteers, & that it would be a challenge – but that with all the people & families coming to & getting connected here at Eagle Pointe, that we could not afford to wait any longer. I LOVE OUR STAFF! So, next Sunday March 16th we will launch our 3rd service time. It will be at 5:30PM on Sunday evenings. This will also coincide with the kick-off of our next teaching series “Full Throttle” (appropriate series for stepping out in faith in God’s direction). I’ve been encouraged to hear from a number of people who were excited about this. In addition to freeing up space on Sunday mornings, I am very excited about the potential for us to reach another demographic of people who Sunday mornings are just not an option for. A lot of people in retail, restaurants, medical, etc either work too late on Saturdays or work on Sunday mornings. This Sunday evening service will be a great vehicle for us to reach out to these people & share with them about Jesus. 1) We need you to talk this up in your groups & teams. Your groups/teams will take on the same attitude you have about this. Will it require extra work for some of us? Yes! Especially for our staff & I. But as Tim Roman said in our staff meeting – “It’s only 1 stinkin’ extra hour a week in order to reach a whole bunch more people for Jesus! I think in light of what Jesus did for us, that we can do this for Him!” I LOVE TIM! I encourage you have & share Tim’s attitude as we communicate with & get our church family involved with this. 3) Join us in praying for this endeavor – praying that God would use it & bless it in order to reach a whole bunch more people for Him. 4) Go crazy inviting! Go out of your way to “run into” people who Sunday evening may appeal to & invite them to come on March 16th & beyond. We have invite cards available in the cafe. We have a lot of stuff on social media to share with people. We also will have new roadsigns available this Sunday for you to help us get out into our community. 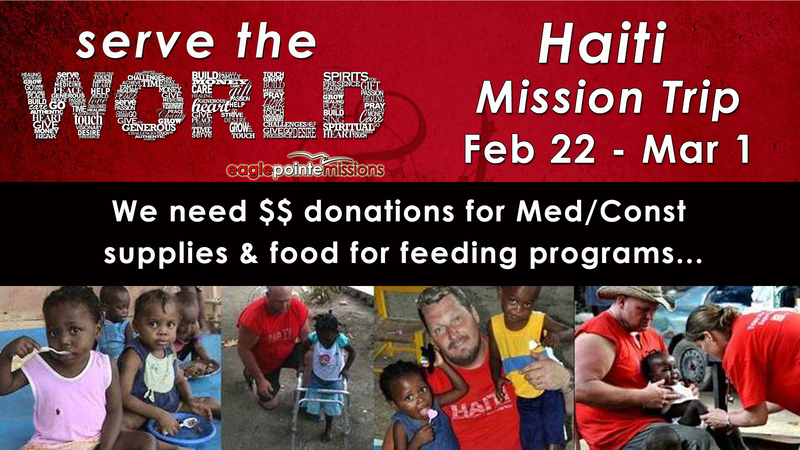 Let’s do our part & allow God to use us to pack all 3 services next Sunday March 16 & beyond. Well, that enough info for now. In the meantime, do not hesitate to contact me or any of our staff if you have any questions. THANK YOU for being on this wild, crazy, God-sized adventure with me! THANK YOU for having a heart that is all about Loving God, Loving Others, & Serving the World. THANK YOU for having a WHATEVER IT TAKES heart & attitude. I am really excited about what God has in store for us.